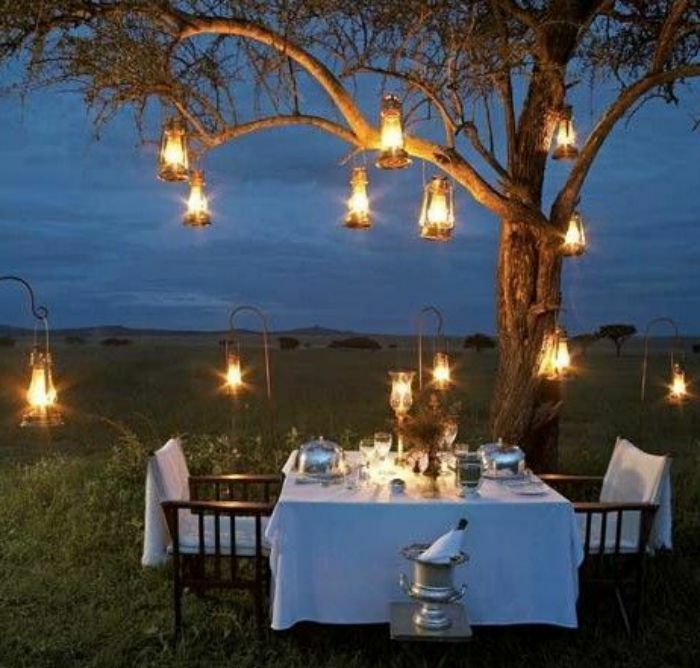 Rich wood dining furniture provides a delightful unexpected element in this tree covered dining arrangement. 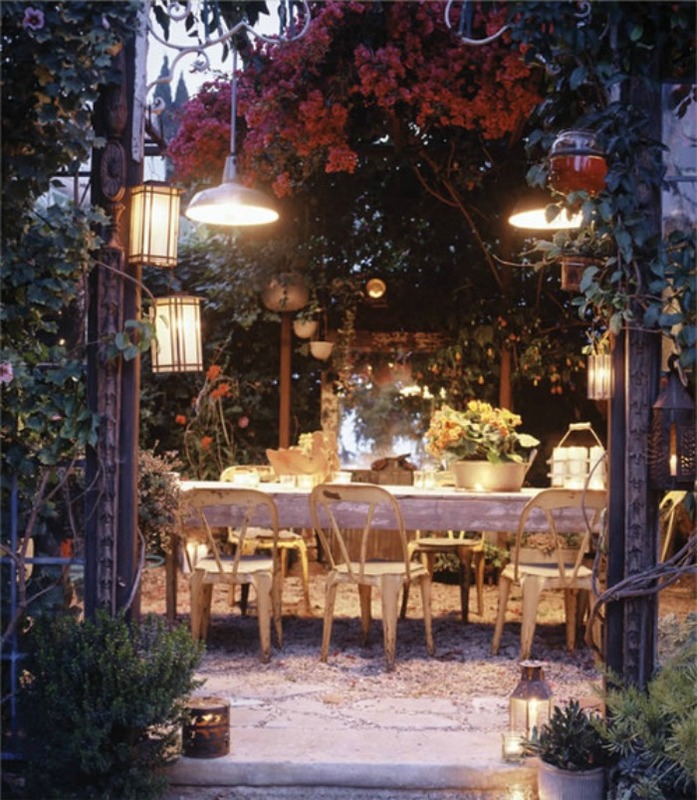 A charming rustic setting with climbing roses and pebbled floor make a lovely al fresco dining spot. 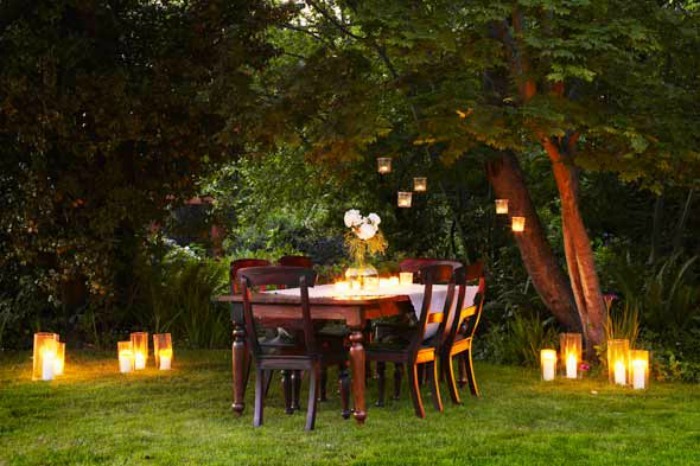 An elegant riverside terrace has a decidedly contemporary feel with high back wing chairs and campy lanterns. 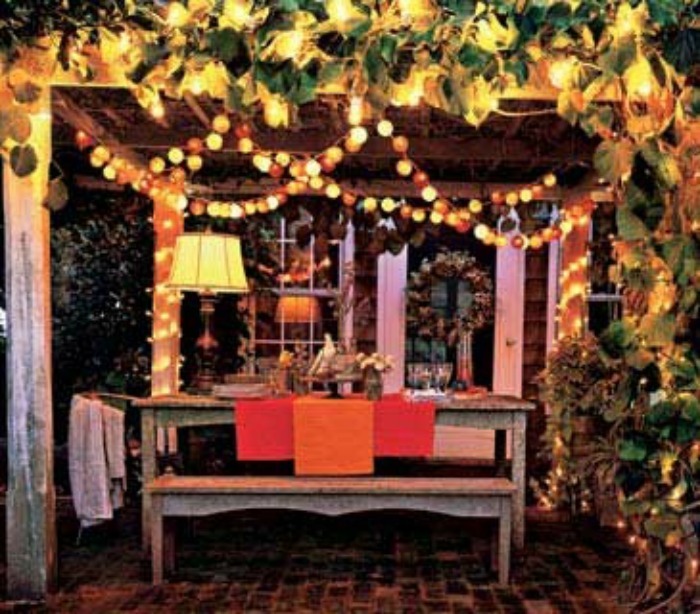 A small patio is transformed with colorful string lights and rustic table and benches. 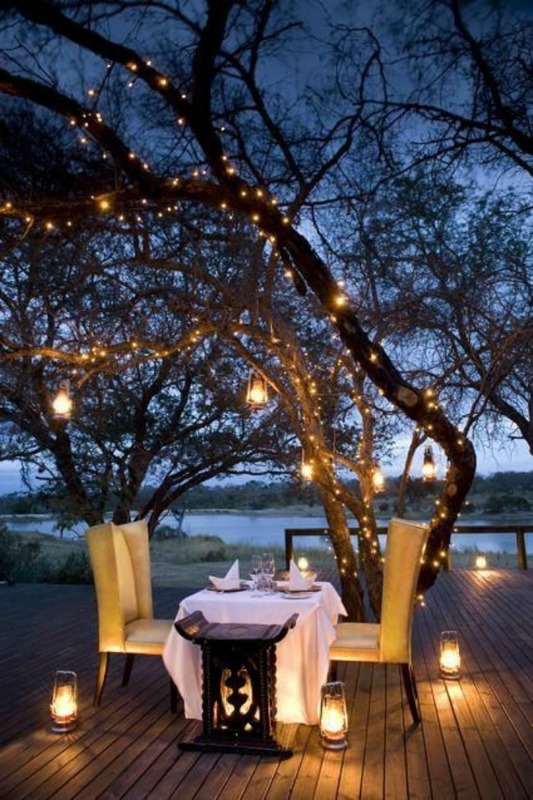 The perfect spot to enjoy a romantic dinner for two. 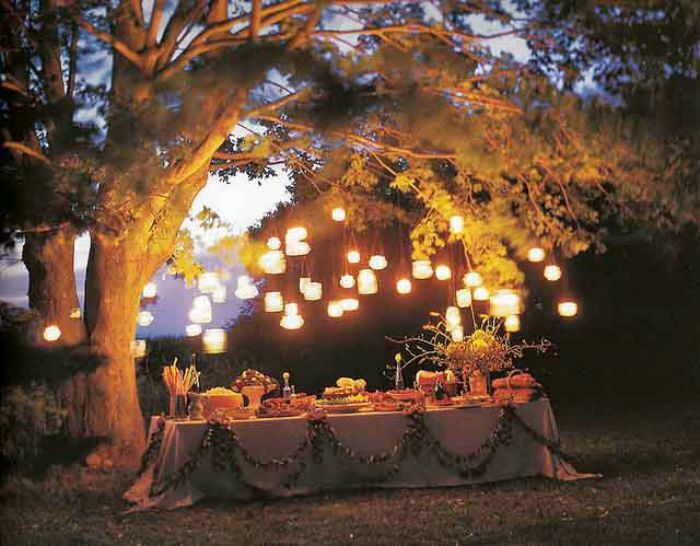 For larger gatherings, this buffet layout is ideal. 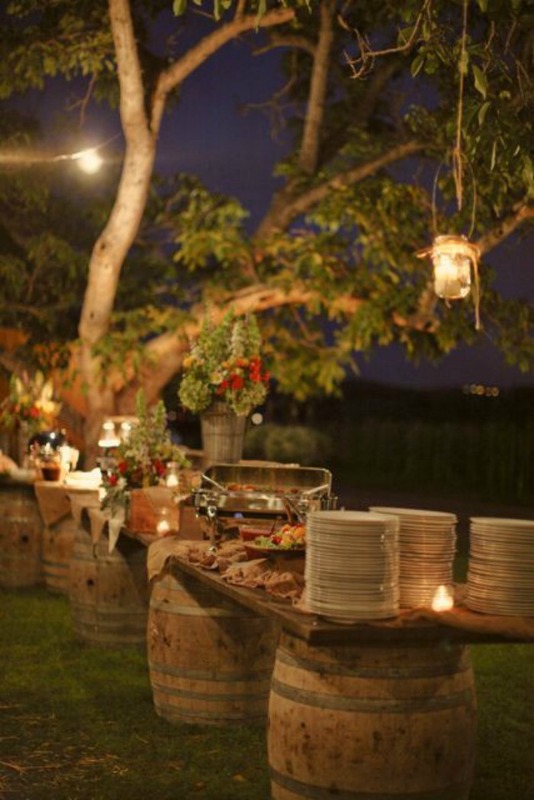 Tabletops set on large barrels give a barn-party feel to the setting. 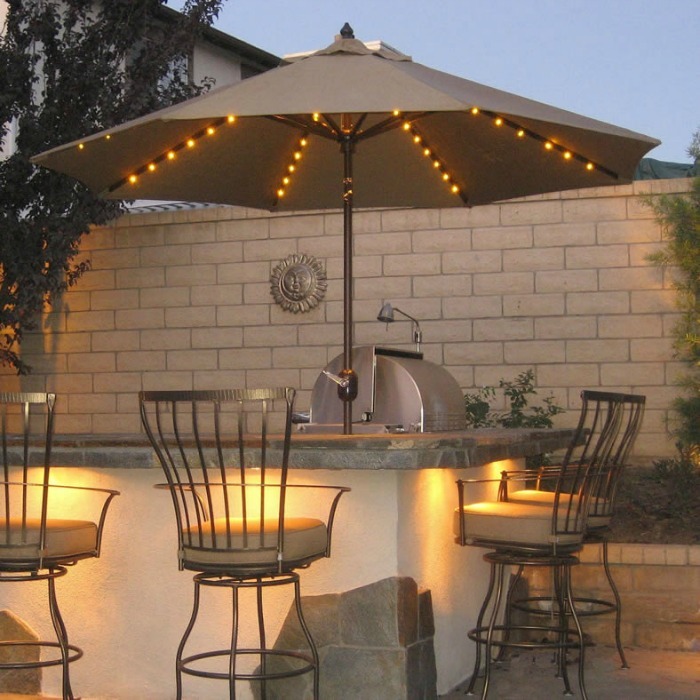 Sleek metal mixes beautifully with raw stone in this outdoor bar fully lit for nighttime entertaining. 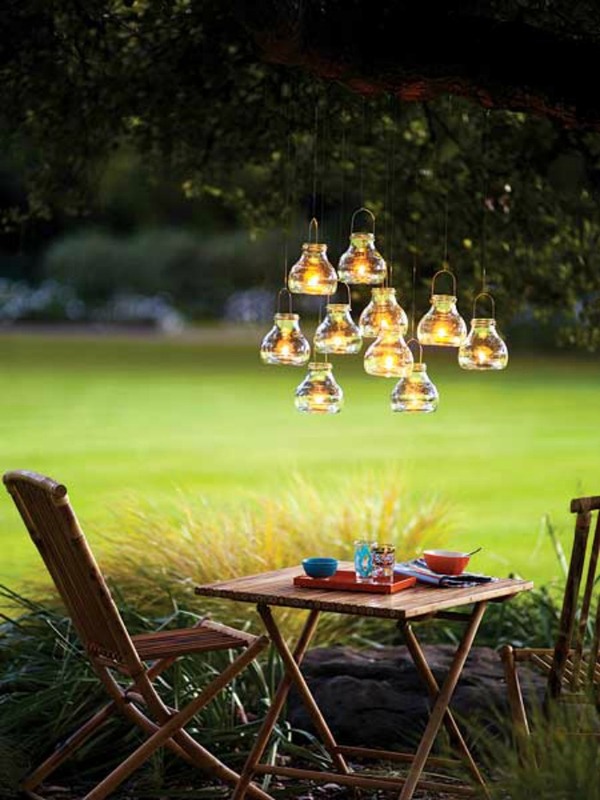 Enchanting dining spot is lit beautifully by a myriad of lanterns hung from branches above. 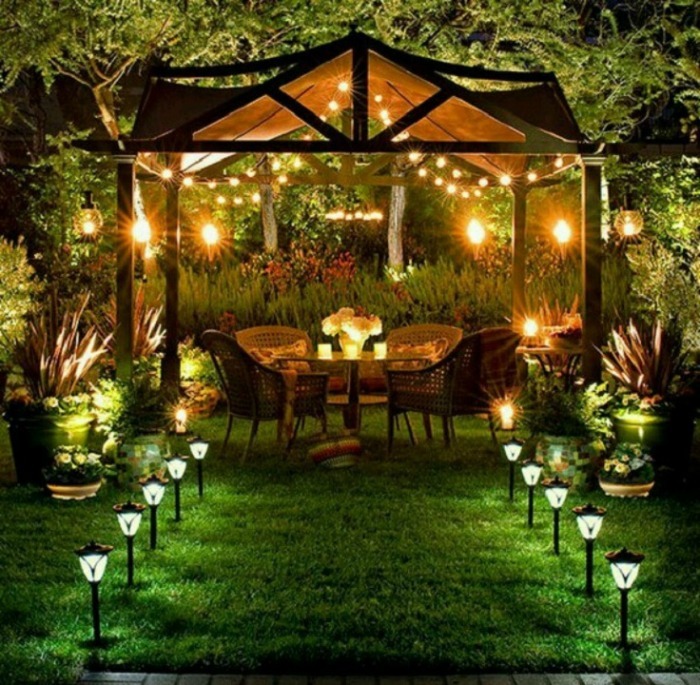 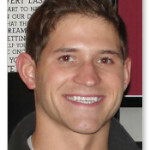 Image Sources: Estately.,com; ApeeMotion.com; Houzz.com; Daily-HomeIdeas.com; ChicoSilver.com; HGTV.com; DotandBo.com; DecorPad.com; NijiHomeDesign.com.